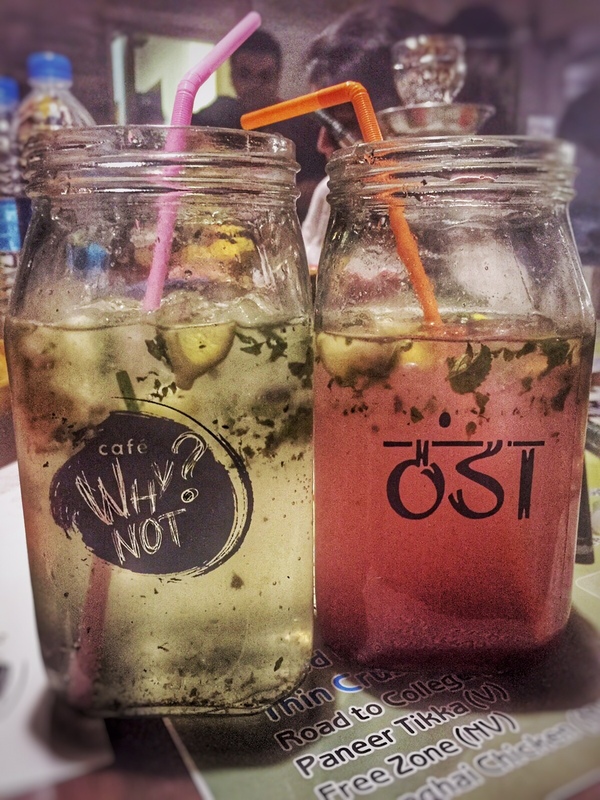 Qubitos – The Terrace cafe. Situated in Rajouri Garden ( suddenly too many food joints are opening here! strange?) This cafe is a hidden gem in RG. The open terrace, the lounge, fine dining everything seems perfect about this place. We were invited here by Redfoodie (Elite meet-up) for all the bloggers in town. They serve Thai, European and Mexican cuisine. I guess this post of mine would have less to write and more photos to describe my luncheon. Have fun scrolling down and enjoy these mouth watering dishes. 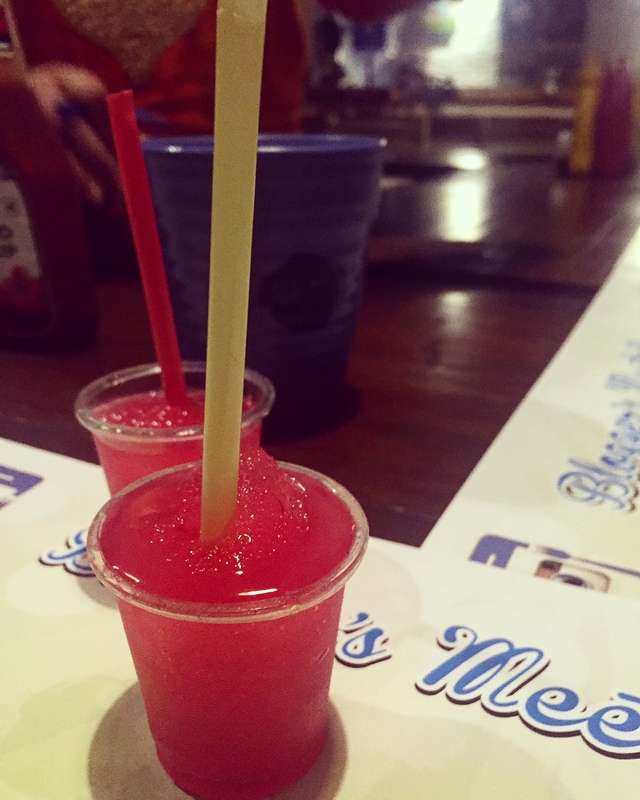 Summer lightning- consisted of coconut syrup, cranberry, mint leaves, lime juice and peach syrup. Was soo refreshing and indulging. HIGHLY RECOMMENDED. Spring rolls- Crisp, presentation was great. Not over fried. Tasted delicious. Had such great spring rolls with sweet and sour dip after a long long time!! Pasta in red sauce with garlic bread topped with cheese. TILLA KEBAB. Great taste, presentation and a must must try! Highly recommended. !! Absolutely beautiful . RUSTIC GREEK SALAD. Loaded with veggies. Fresh and tasty. Cute giveaways by Redfoodie at the event. Had such a great time with food lovers and to top it up with such great ambience and food. CAFE WHY NOT? + BLOGGERS MEET. CAFE WHY NOT? – SATYANIKETAN. All the extremely talented bloggers working day and night to give all you foodies out there an insight into where to go next to satisfy those tastebuds, always craving something new and also to serve you with the best photos, were present at the meet. It was a great opportunity to bond over something we all love: food and also put faces to the well known names of the blogging world. The music was great, ambience was nice and on point for all the youngsters. It was tangy and sour with right amount of sweetness. We started with Baked momos: those tasted okay! Nothing extraordinary or out of the box. The Presentation could have been better. 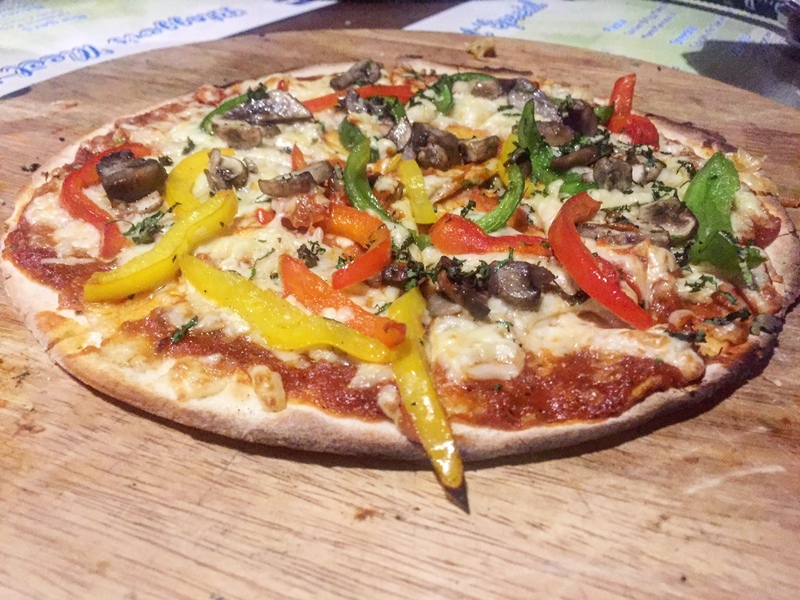 Next came wood fired thin crust pizza : (road to college) This was WOW. The crust was crisp and it was loaded with vegetables and cheese. A pizza can never go wrong, EVER. Pasta with garlic bread : this pasta just reminded me why I stepped into the blogging world, to find hidden gems like this. 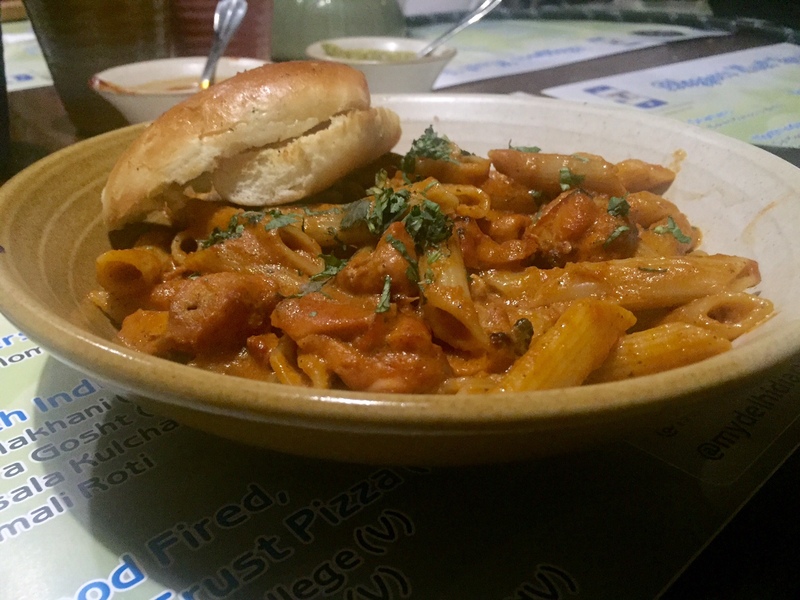 This butter chicken pasta was just delicious, the perfect mix of Italian and Indian cuisines. Who would have thought that would taste so good. This still makes me salivate. A must try! Strawberry lemon mojito: this is not something I enjoyed much. Mojito: this was the good old mojito. Well, a little high in the sugar department if you ask me. 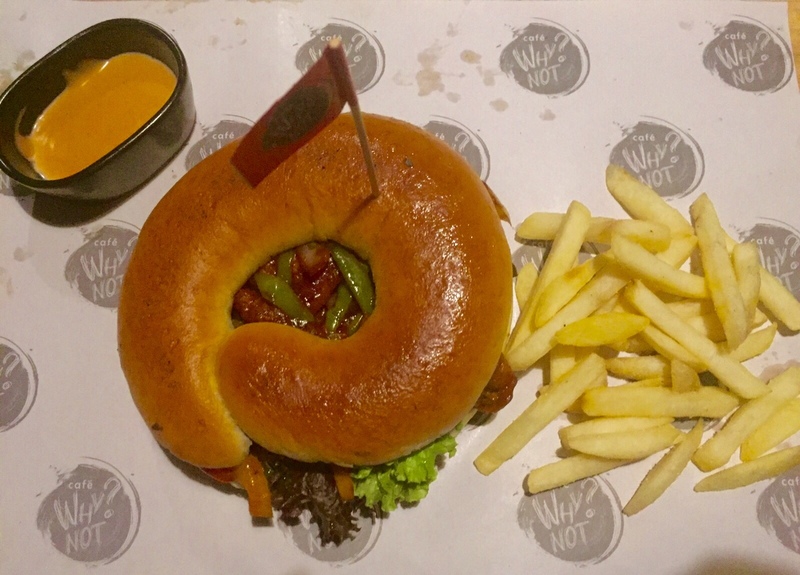 Chilli chicken burger : the presentation was perfect, a definite eye pleaser. It tasted amazing. Something that I have never tasted before. 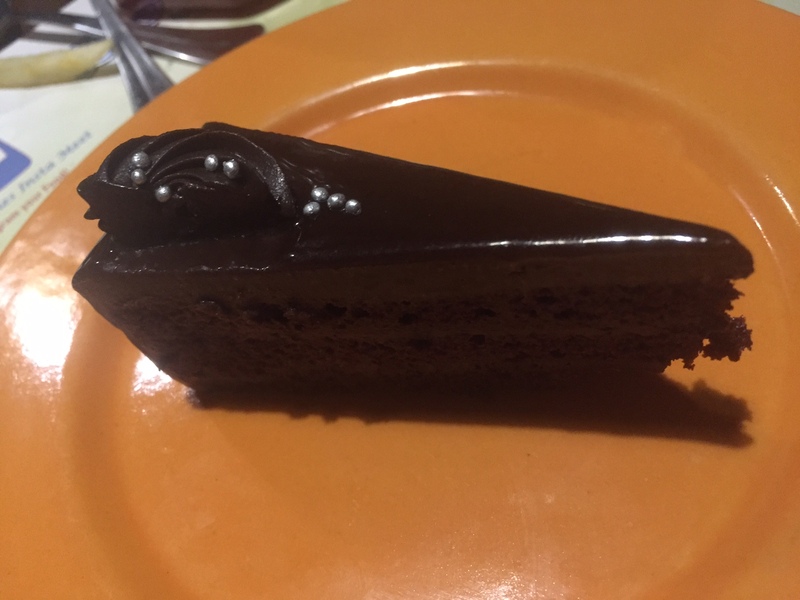 Mud cake : this was nice!Something I have had before, not something new. But the taste was good none the less. 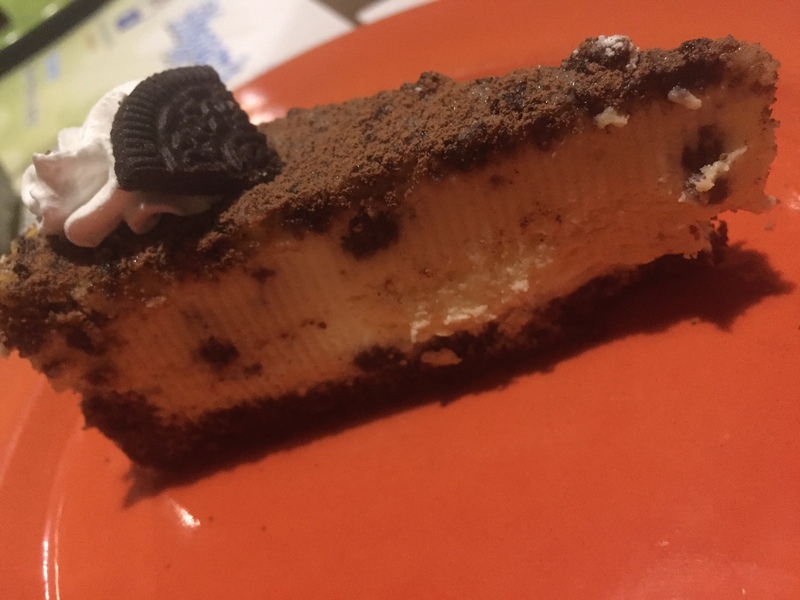 Oreo cheesecake : every households favourite Oreo in a dessert, again it tasted nice but nothing new. My dessert winner of the two would definitely be mud cake, solely because it excelled in the taste department. Overall a place to visit atleast once to enjoy the music, food and ambience. P.S- Could majorly improve with presentation, lighting and service. Next coming coming up TRIBE RESTAURANT LOCATED IN VASANT KUNJ.